Companies make mistakes. For instance, Netflix goofed on how the new pricing plan was introduced to customers. Or Google killing the Gmail app for Blackberry. Even HP killing the tablet. The key is Communications. Right now, Penn State is facing the worst possible scandal imaginable. It will forever smudge its image. Likely, it will destroy the Paterno legacy. I'm not going to get into the right and wrongs here, because I think we can all agree that there wasn't much right being done. In a case, where a state powerhouse (and money-maker) is presented with 40 counts and two high level execs have to resign, the PR team should have been working 24/7. It should have began when word hit the College that the arrests were imminent. Why? Because no prosecutor is making arrests in this size case without hard evidence and all ducks lined up. Because ESPN is going to turn into Fox news for a week over this. Playing the story 24/7 till people have to turn off the TV. This will result in billions lost - in licensing merchandise, ticket sales, boosters, donations, TV cash, recruitment and more. There's no room for either short term thinking or let's wait. The first step is to get in front of the scandal as soon as possible. How? Admit the problem. Apologize for it. The public needs to hear that (a) Management or the Board knows that there is indeed a problem and that they are sorry for the problem. Next, Paterno should have apologized and retired yesterday. Not today. Not at the end of the season. As long as he is the coach, this scandal will be front and center. And the grad student who reported it and is now a coach needs to go. (He didn't follow through. No one did.) Penn State needs a clean slate. HP should have wiped out the Board of Directors after the tablet fiasco. Why? Under the BOD's watch, two CEO's have been fired - there was the Mark Hurd scandal; Leo Apotheker was fired; and the tablet flub. Ultimately, the BOD has (at least some) responsibility in all 3 heaps, including the lack of clear communication to shareholders and customers. It damages the brand long term. We live in an online, 24/7 news cycle. The news cycles are relentless and longer. We also live in a world where everything online is archived forever! 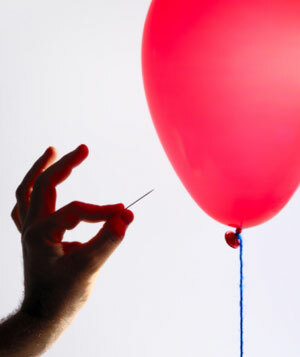 Brands (and companies) need to be transparent, forthright and crystal clear in doing the right thing, because like a balloon it just takes one prick to pop it.